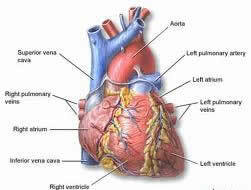 Congestive Heart Failure Research Papers discuss this disease and the contributing factors. This is a topic suggestion on Congestive Heart Failure fom Paper Masters. Use this topic or order a custom research paper, written exactly how you need it to be. Congestive Heart Failure (CHF), is of critical importance to the nursing professional since it is one of the most common causes of in-hospital mortality for patients with cardiac diseases. The frequency of CHF is rising to an alarming rate internationally, nationally and locally in Hawaii due to the increasing elderly population. Therefore, the need for education and understanding of the problem is quintessential for nursing to combat the rising numbers of CHF victims. Congestive Heart Failure indicates the inability of the heart to pump enough blood to meet the body’s metabolic requirements for oxygen and nutrients leading to discrepancies between myocardial oxygen supply and demand. The hearts primary function is to pump blood coming into the ventricles from the lower pressure venous system against the higher-pressure arterial system. Impairment of this pumping ability results in inadequate emptying at the venous side and inadequate blood delivery to the pulmonary and systemic circulation, hence heart failure. CHF can either be a primary disorder caused by the defective malfunction of the heart itself, or a secondary disorder caused by systemic alteration placing undue demands on the heart or altering its function. Primary disorders of the heart, such as cardiomyopathies, coronary artery diseases, or valvular disorders, constitute the majority of the CHF cases. In cases of asymptomatic cardiac diseases, CHF is precipitated by an unrelated illness or stress. A common precipitating factor for CHF is cessation of cardiac drug intake. Cardiac patients are usually in a regimen of multiple medications, and may at one time or another (depending on the dynamics involved, such as lack of financial resources, noncompliance, etc.) discontinue the medication without the primary provider’s consent. An example is cessation of diuretic therapy. This can lead to increase sodium and water retention, which can precipitate CHF. Dysrythmias are other common precipitating or aggravating factors for CHF. Tachycardias cause decreased diastolic filling time causing decreased SV. It can also precipitate angina due to increased myocardial oxygen demand. Atrial dysrythmias can lead to as much as 30% reduction in stroke volume due to absence of "atrial kick," or atrial systole. Ventricular dysfunction can cause asynchronous contraction leading to decrease SV and CO. Other precipitating factors include viral and bacterial infections, and environmental, emotional, or physical stress that increases myocardial oxygen demand. Paper Masters writes custom research papers on Congestive Heart Failure and discuss this disease and the contributing factors.